2. 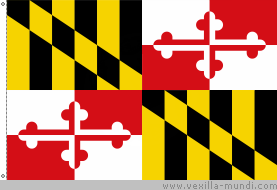 A FLAG NEEDS TO BE INSTANTLY RECOGNIZABLE. It is often pointed out that the current Minnesota flag is too easily confused with flags of other states—more than two dozen others. 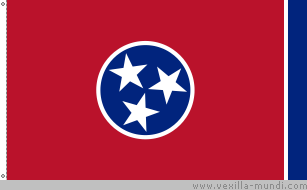 When state flags are assembled in a national context, their differences in design and colors define recognition of each individual state. For Minnesota, there has never been any doubt that “The Star of the North” has been the symbol most often associated with Minnesota. The 1893 flag proclaims it, printed in gold on a red ribbon, in the French language: “L’etoile du Nord.” All Minnesotans easily turn the phrase, “Star of the North,” into the symbol, particularly when joined with the blue of skies, white of snow, and the green of summer scenes. The new flag is recognized immediately, unmistakably . 3. A FLAG IS A BRAND. In the “market place,” so to speak, Minnesota’s flag competes with the flags of other states, cities, professional sports teams, and prominent manufacturers’ brands. 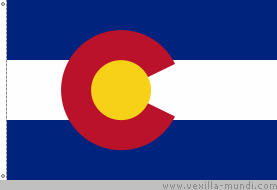 States who display the strongest, simplest flags tend to have the most direct impact on the “customer.” These days, commercial brand name symbols and banners draw greater recognition than most state flags. Minnesota must compete in the U.S. for tourist dollars and sales of products. Minnesota needs a flag to be outstandingly competitive from a “brand/symbol/icon” point of view. 4. A FLAG NEEDS TO CONNECT EMOTIONALLY. Call it patriotism or simply team support, Minnesotans should feel a lift or a tug at the heart level when glimpsing the flag of their native state. A great majority of Minnesotans are proud of our quality of life and of nature’s place in it. We say that we are a rugged people in this Northern state. The symbol of the North Star is easily assumed to stand for our pride in being Minnesotans. We write poems about it and sing emotional songs of praise. Flags must tell a story, represent hopes and history. All peoples do this—have done it for many years. 5. A FLAG SHOULD REPRESENT GREAT DESIGN. Great design relates to clarity of idea. Visual displays created by the artist/designer are manifested in simplicity of statement, uses of color and shapes, and the unity of the whole design with symmetry and balance. Clear and plainly illustrated suggestions for designing a flag convince the viewer of the flag about how powerfully the finished banner promotes the message. 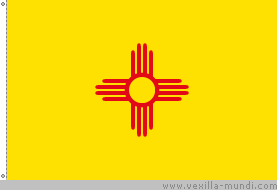 There are a few U.S. state flags that can boast instant recognizability from their designs—–states such as New Mexico, Texas, Maryland, Colorado, and a few more. Minnesota can join the leaders with a nationally known flag. Among our nation’s flags, the old 1893 Minnesota state flag is simply bad design, poorly composed, a jumble of ideas, thematically derivative, unoriginal and, it could be said, politically incorrect. Because of the old flag’s most easily recognized detail—the broad, white, circular band— many refer to it as “the moon flag.” But, Minnesota is the Star of the North— NOT of the Moon. 6. A NEW FLAG CAN CONNECT TO OUR PAST. The North Star has been a feature of Minnesota’s iconography for over one hundred years. 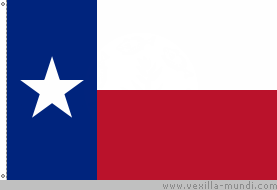 The star was center to the flag’s identity from 1893 as the original slogan states. (See above.) With our new design, the pictorialization of the symbol of the Star of the North, reminds us of who we continue to be: proud citizens of a beautiful land in the North of America. Minnesota’s past in song and slogan includes “Land of Ten Thousand lakes” and “Land of Sky Blue Waters.” Minnesota’s new flag design chooses to relate to these in the use of its clearly defined colors. 7. A NEW FLAG SHOULD ONLY SAY ONE THING! The job or duty of a flag is to instantly signal the place of its origin, Minnesota, in the simplest, quickest, and strongest manner. This means using a single powerful image rather than several elements and thereby diluting the immediacy of the symbol. There are other mediums for layering the texture of the story of the flag, such as detailed descriptions of the Minnesota state seal, the state flower or the state tree, and so forth. The single intent of the flag is visibility, instant recognition, and emotional directness. We believe that our design is the strongest at satisfying the greatest number of Minnesotans in this way at any one time. The “Star,” the skies of blue, the whiteness of winter, and the green of summer all say Minnesota, the Star of the North. 8. WE SHOULD BE MOVING ON. “The times are a’changin.” Change is inevitable. Customs change, laws and governments change. The old tradition-bound, forgotten meanings and disconnected symbols to our time are losing ground to more meaningful ways of showing and telling ideas. Minnesota is a world leader in the creation of ideas and ideals. We must bring greater recognition to ourselves and our state. A new flag gives energy and an immense sense of pride on entering the new direction for the future. We need a new flag that stirs the heart and focuses the mind. It’s time to move. ~ by marcstratton on 5 March 2007. The Minnesota State Flag should be changed for the very simple reason that is gives a distorted vision of Native Americans leaving Minnesota peacefully in order to give white settlers the “space” to plow fields and work the land. It distorts the bloody and sad history of Native American relations in that state.